Here's another tool straight from our senior tech's bench! 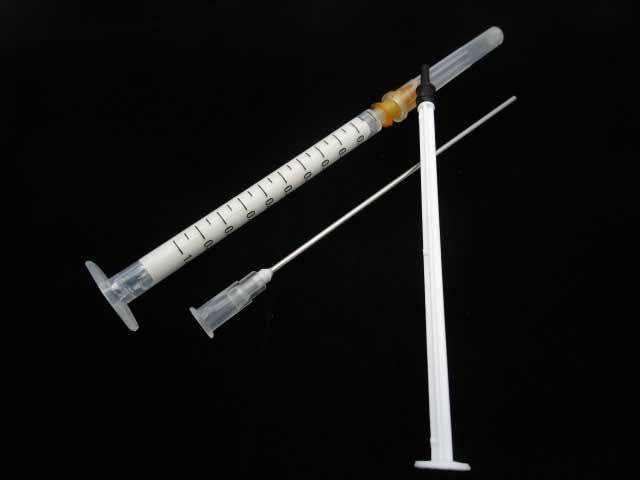 Grease in a narrow body syringe that can be used with or without it's blunt needle 4" applicator, but with the needle you can reach almost 7 inches into most any stationary mechanism! Very handy when you remember to lube the mechanism after replacing a belt or part. This problem solving calcium stearate compound can restore free movement to mechanisms found in any turntable, record player, cassette deck, 8-track, reel to reel, arcade machine such as pinball or movie projector. While it exhibits excellent dielectric properties, we are most happy that it is safe on plastics, people and pets. Try your 1ml syringe today.
.:Not suitable as a tonearm dampening oil:.